Nominated by Chester A. Arthur on April 24, 1882, to a seat vacated by William J. Wallace. Confirmed by the Senate on May 4, 1882, and received commission on May 4, 1882. Service terminated on June 14, 1902, due to appointment to another judicial position. Nominated by Theodore Roosevelt on May 29, 1902, to a new seat authorized by 32 Stat. 106. Confirmed by the Senate on June 3, 1902, and received commission on June 3, 1902. Service terminated on December 31, 1911, due to abolition of the court. Nominated by Theodore Roosevelt on May 29, 1902, to a new seat authorized by 32 Stat. 106. Confirmed by the Senate on June 3, 1902, and received commission on June 3, 1902. Service terminated on July 31, 1917, due to retirement. 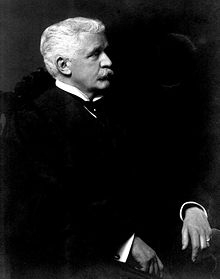 Alfred Conkling Coxe, Sr.; artist unknown; Photograph; n.d.; U.S. Courts Library for the Second Circuit, Thurgood Marshall U.S. Courthouse, New York, N.Y. Reference image courtesy of the Office of the Circuit Executive, U.S. Court of Appeals for the Second Circuit. Further reproduction prohibited without permission of the circuit executive's office.